Celebrate your Pregnancy with a Pre-Baby Pregnancy Photo Shoot at Fairmont Royal Palm Marrakech. We are excited to share with you the newly launched Babymoon Package at the stunning five-star Fairmont Royal Palm Marrakech. This pregnancy break includes private yoga sessions for the mother-to-be, a mother-to-be massage and a mocktail for mum-to-be and cocktail for dad-to-be. 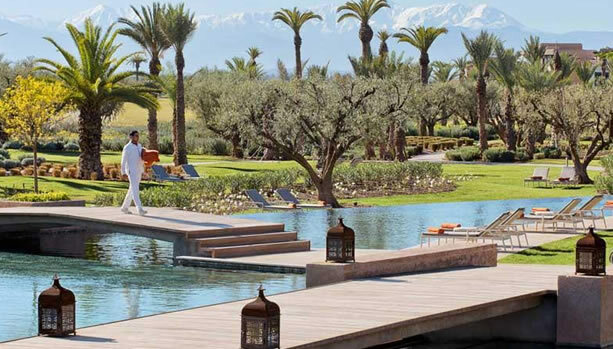 Set in the midst of a centenary olive grove, on a patch of ochre-coloured land lying in the shadow of the snow-capped peaks of the Atlas Mountains, Fairmont Royal Palm Marrakech is a sustainable luxury hotel located only twenty minutes away from the vibrant medina. The hotel features lavish rooms, suites and villas, four fine dining restaurants and two bars offering a diverse local and international cuisine, a 2,000 sqm swimming pool, a 3500 sqm Spa, a 500 sqm Kids’ Club offering a world of discoveries, a Fitness Centre with a semi-Olympic heated pool and personalized coaching as well as an 18-hole golf course with a prestigious Country Club. 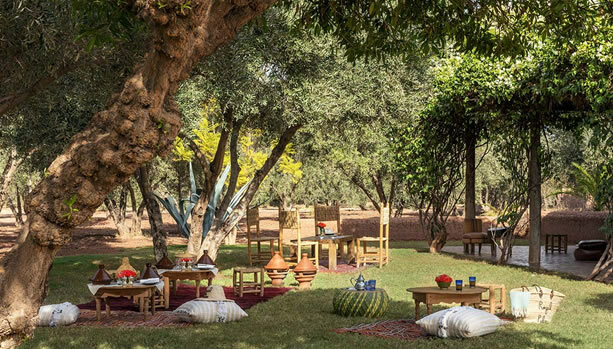 Fairmont Royal Palm provides wellness to its guests at the heart of an exceptional natural setting at the foothills of the Atlas Mountains. Its Spa is designed like a Riad, a traditional Moroccan house with a touch of modernity, bathed in a soft natural light which reflects on the white Zellige tiles covering the walls. 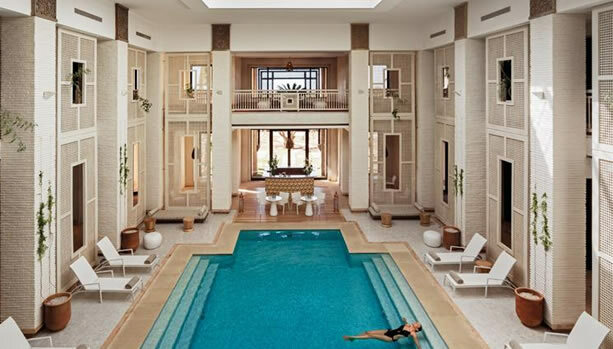 This elegant and refined place offers guests a relaxing moment in a 3,500 sqm oasis of well-being. Guests entrust their body to the expert hands of trained therapists and can pamper themselves one the signature treatments. The hammam area includes 10 cabins, a sauna and a body scrub zone. The relaxation area blends the inside and the outside with an indoor swimming pool, a yoga room and a juice bar. The beauty care area is composed of a Leonor Greyl hair salon, a manicure and pedicure area, a Maison d’ASA boutique and a barbershop. A massage area that includes a private Jacuzzi and massage section. This peaceful place of well-being with a wide choice of sections is open every day between 9 a.m. and 9 p.m.